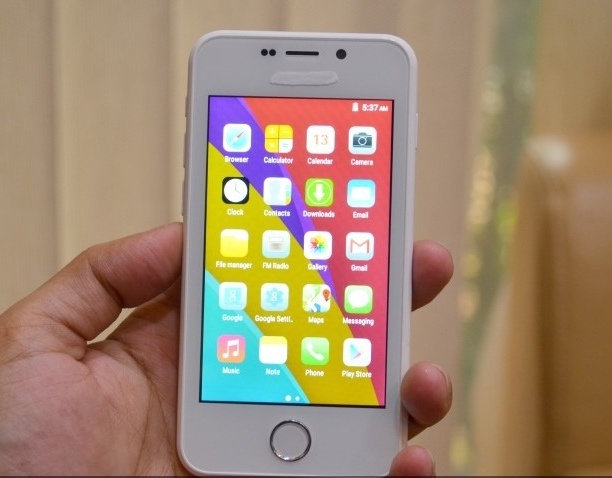 Freedom 251, cheapest phone of the world is launched in India and it created Hype after the launch. The official phone booking website records 6 lac hit per second as per Ringing Bells(manufacturer of Freedom 251) claim. They also claim that 30,000 users have already booked the phone in the meantime. However, I was unable to book the phone even after several attempts. Freedom 251- World Cheapest Smartphone launched by Noida based company The Ringing bells on the evening of 17 February in New Delhi. Ringing Bell is established in 2015. The director of Ringing Bells are Mohit Kumar Goel, Sushma Devi and Rajesh Kumar, they left their agriculture business and jumped into the technology business. Price of the phone is 251 Rs and shipping charges is 40 Rs. The total cost of the phone is 291 Rupees (Under 5$ including home delivery charges). The phone will be delivered in 4 months and the delivery date mentioned on the official site is 30th June 2016. The phone is packed with the combination of 1 GB RAM along with 1.3 GHz Quad core processor to allow smooth operation and good user experience. It has 3.2 megapixel primary camera along with 0.3 megapixel front camera for selfies and it has no flash. The quality of back camera is average and front camera should be comparable with VGA camera. The phone will support Wi-Fi, Bluetooth, 3G and has 4 inch IPS qHD display with 960×540 Pixels resolution which makes 275 PPI which is good enough. Freedom 251 mobile phone also has FM radio for music lovers. Freedom 251 will runs on Android Lollipop version 5.1 which powers most of devices around the globe. The User interface is same as Apple iOS 9 and even the menu icons are exactly similar to iPhone. Earphones or Hands-free, data cable and charger are included in the box. Few manufactures in the country are not providing hands free with the device. 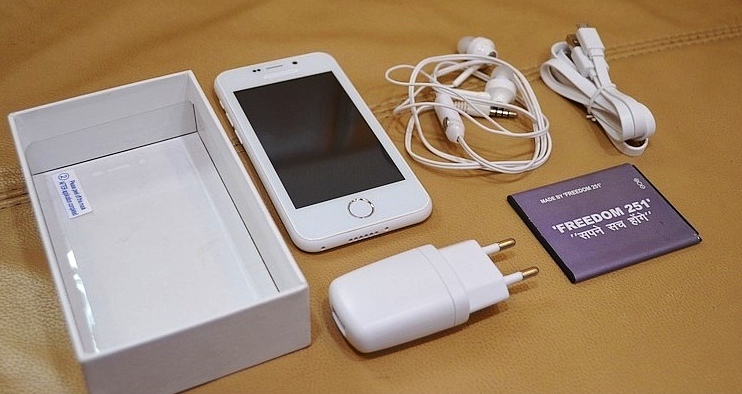 The Freedom phone has 8 GB internal memory, 1450 mAH removable battery which would be sufficient for one day use. Freedom 251 memory can be increased with external Micro SD memory card up to 32 GB. Freedom 251 smartphone has proximity sensor only and it lacks all other common sensors like ambient light sensor, accelerometer and gyroscope. We can’t expect more in this price range. Phone comes with one year warranty and has a strong network of 650 service centers across the country. The Freedom 251 phone can be booked only by the company’s official website in online mode. There is no cash on delivery method till now, and booking must be done in advance by net banking, credit or debit card. Also, there is no cancellation option yet to cancel booking of the phone, however, no one want to cancel the device which is available at this throw away price. It is not the right time to say something about the performance of the phone; however as per the specification of the device, it can be compared easily with the phones which fall in the price range of 4000 bucks. Read about how to Book Freedom 251 and Is Freedom 251 a Scam? Also read about the Comparison with Samsung Tizen (Price 4274).